A glider retrieval story""Out-landings"" are a fact of life for glider pilots, and while retrieving pilot and machine after most land-outs is a relatively straight-forward exercise, others are not so simple, and one area of the South Island is fast becoming New Zealand's most notorious out-land spot. Story by Jill McCaw. It is not without justification that the sound of the Merlin engine has often been described as the ""sound of freedom."" 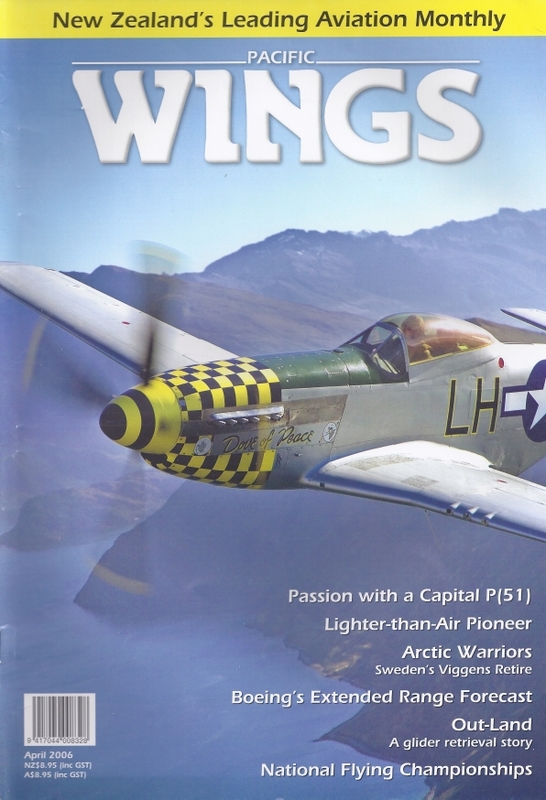 One man who still hears the avenging roar in the Merlin's every note is Robert Borrius-Broek — owner of the Wanakabased P-51 Mustang ZK-SAS, Dove of Peace, whose passion for this ultimate heavy-metal warbird is as infectious as it is genuine, as Rob Neil found out recently. UK correspondent Peter Cooper reports from Sweden's frozen north on the retirement of an iconic type.